Longevity might be an understatement to explain the life of one of Pittsburgh’s oldest performing rock legends. For over a period of Forty Four years Mr. Bill Ali (pronounced Bill AL-EYE) has been capturing the hearts and souls of many unsuspecting nightclub owners and fans! Former front man of the ever popular Toast Band one of Pittsburgh’s longest running great rock bands for over 36 years has switched styles just a tiny bit, going from a hard hitting Marshall Stack, Gibson Les Paul toting, in your face type of rocker performing songs from such artists as Megadeath, Danzig, and Judas Priest to a more refined in your face guitar slamming classic rocker performing cover songs from the 60’s 70’s, and 80’s from artists such as Marshall Tucker, C.C.R, Ted Nugent, Pure Prairie League, and to top things off just a taste of country with Johnny Cash. Teamed up with Matt Barranti vocals/ electric guitar one of only ten guitarists in the entire U.S.A to be invited to perform at The Sliders Ball in Macon Georgia, Spent some time as lead guitarist for FOGHAT, and 2017 Pittsburgh blues challenge winner. Matt’s work on the bottle neck is a sight to be seen and heard! George Harris percussion/drums/vocals, George is a former member of Gass House Annie, George has performed all over the country and adds the spice of life to the band with his unique talents. 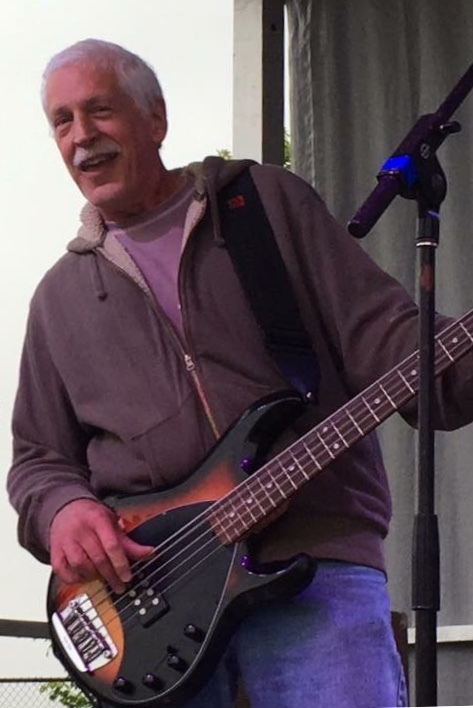 Bob Neglio is our newest member on Bass Guitar, influenced by John Paul Jones of Led Zeppelin Bob has performed with many bands and his solid thump contributes to the unique sound the band has developed. These four men have combined to form The Bill Ali Band Pittsburgh’s Premier Classic Rock band. With the help Of Mike Zaremba stage lighting,promotions,website design, and MC, Mike is the rock of the band behind the scenes. The new band lives on to rock Pittsburgh and surrounding areas. To find out more about The Band check out all that our website has to offer! Shared the stage with: Arlow Gothry,Thom Doucette, Dangerous Dan Toler, Dru Lombar, Chris Duarte, Glen Pavone, Billy Price, larry lee Jones, The Granati Brothers, and a bunch of others! The band was also featured on KD Country with Dave Crawley in the 90's,ext. For many years Huck was the backbone of The Bill Ali Band with His solid 5 string bass and we would like to say Thank You Tom for your dedication, talent, strong vocals, and friendship! Sorry to see you go, however we respect you decision to go in another direction and hope you find happieness on you next journey! Once again thank you and good luck!